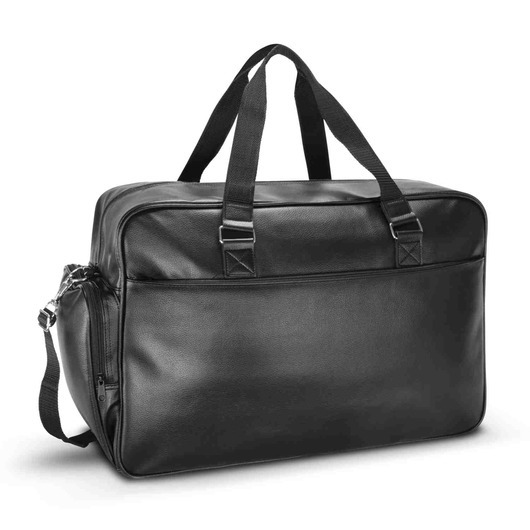 A smart and stylish travel bag that's perfect for holding your laptop or tablet. Hold everything you need to have a successful trip away with these fantastic travel bags. They're made using durable poly-leather to give that classical, smart look. They feature padded compartments for both a laptop and a tablet, a padded woven shoulder strap that's adjustable/detachable as well as a external zippered pocket.